We love this new design from Micky & Stevie. The cool colour palette (white/blue/timber) is a perfect fit for the whale pattern print. 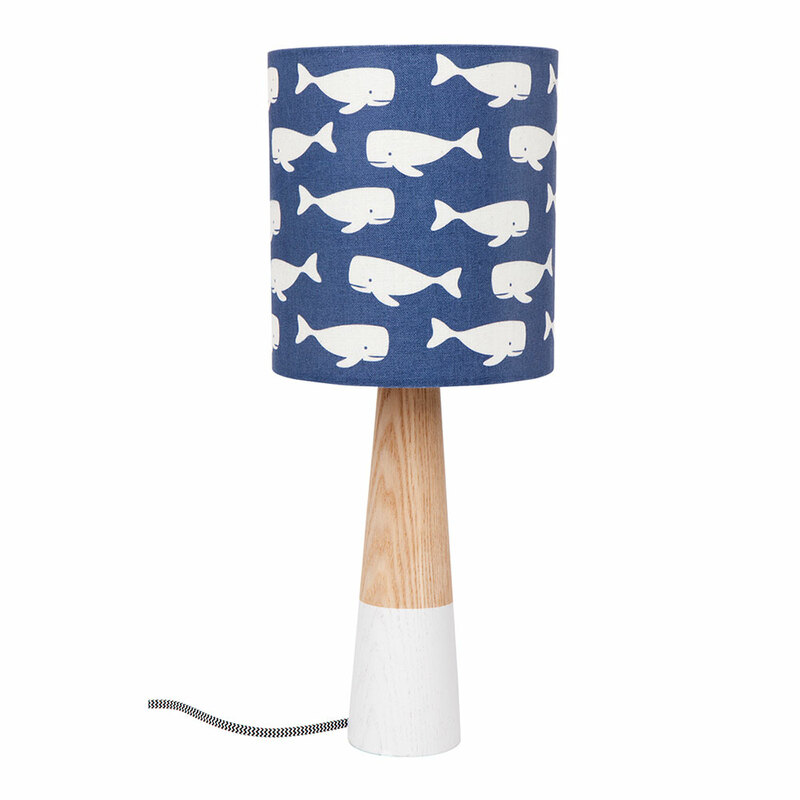 Featuring a small fabric lampshade with whale design on a petite natural and white wood pillar. Black and white fabric cord with inline switch. E27 fitting, max 40W. Shade diameter 18cm, overall height 45cm. * White Whale Fabric Table Lamp ships as a large parcel and does not qualify for FREE SHIPPING offers.